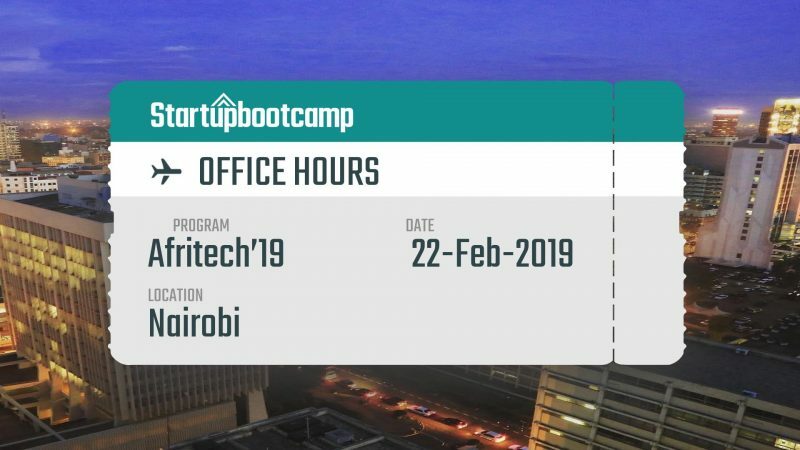 On the 22nd of February, the Startupbootcamp Cape Town program welcomes you to Nairobi, Kenya for a day as part of its international tour to support the area’s best talents. You are invited to present your innovative ideas to the Startupbootcamp team and to learn more about the Cape Town-based Startupbootcamp accelerator program. Attending gets you added to our watch list, which gives you higher chances to be selected for the program. Simply complete this short online form and apply for the Office Hours to be held in Nairobi on February 22nd. Applications close 3 days before the event, so make sure you complete your application by then!